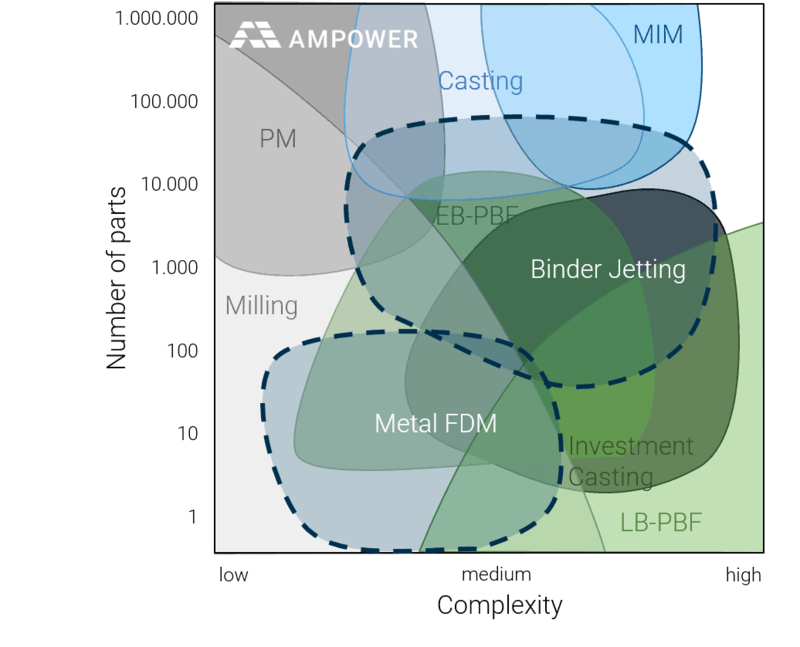 In this study, Ampower presents an objective and independent view on the current capabilities of sinter-based AM technologies compared with LB-PBF and metal injection molding (MIM). By analyzing over 50 specimens from 8 different system suppliers, Ampower is revealing the characteristics of the different technologies. The cost analysis confirms expectations of cost savings through use of sinter-based technologies. Today, cost reductions of over 40 % can be achieved in comparison to LB-PBF and are expected to increase up to 60 % within the next 2 years. However, prerequisite for those savings are a high packing density and large volume production. 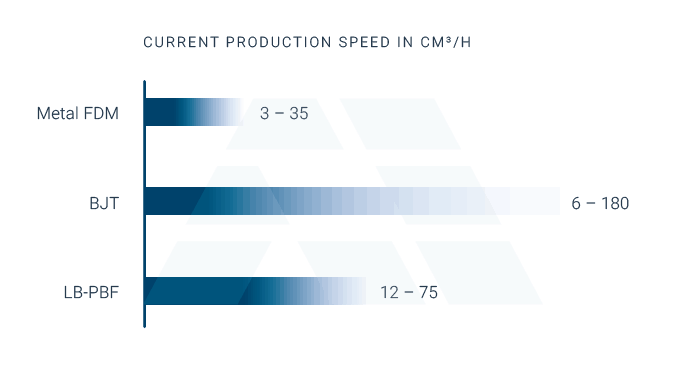 While metal FDM offers flexibility and low pricing for small quantities, BJT is targeting high production volumes leading to further cost savings. In comparison to LB-PBF, analysis of material characteristics reveals lower performance of both sinter-based AM technologies when it comes to density and mechanical properties. For highly loaded metal applications, it is thus unlikely that end users will adapt either BJT or FDM technology in the near future. The study closes with a deep dive into the design potentials and limitations. The greatest challenge of sinter-based AM technologies is the debindering and sintering process. To control these necessary process steps, a profound knowledge of sintering is required. Implementing sinter-based AM technologies will present new challenges to early adopters. Especially the investment in infrastructure and knowledge about the sintering processing should not be underestimated. For automotive and machine industry, binder jetting technology and metal fused deposition modeling offer great future potential. They will cover the gap between casting and LB-PBF regarding cost and productivity. When it comes to highly loaded applications, however, EB- & LB-PBF will remain the reference AM technologies for now.